Monte-Carlo - While acknowledging the burden placed upon athletes, the IAAF believes that the whereabouts system, which currently involves athletes providing a 60 minute testing slot 7 days a week, is both proportionately fair as well as absolutely mandatory for the effective fight against doping in sport. Athletes in the IAAF testing pool have been providing similar whereabouts information since as early as 1997. 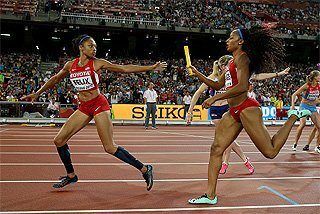 It is only now in 2009 that many other sports, countries, and athletes who have never had such a system in place, and rarely done any out-of-competition testing, are starting to realise the work involved and the effort the IAAF and its’ athletes have gone to over the previous decade. The IAAF is proud of its athletes who have been providing their whereabouts information, and been tested out-of-competition for longer than those in any other sports. 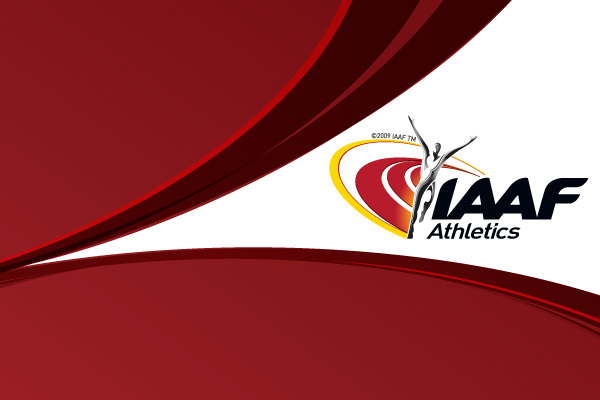 The IAAF recognises the burden placed upon them by the rules and thanks them for their participation in the system. IAAF stakeholders including our Member Federations, sponsors, spectators and most importantly our athletes, are constantly demanding that the IAAF does all it can in the fight against doping. The most important part of our response to these demands is the out-of-competition doping control programme to which the IAAF provides approximately 2 million USD of funding each year. The basis of this programme is that an athlete can be tested at anytime of the year and in any place. Without receiving accurate and complete whereabouts information then this task becomes impossible. If athletes would like the IAAF to do the best testing possible with current techniques – then they need to support this by providing whereabouts information, and knowing that their competitors must do the same. Whereabouts provision is a delicate balance between the need to locate those who are trying to cheat (at the moment when they are taking their drugs) - and the rights of the clean athletes. However, there is no point in having any whereabouts or testing system at all if it does not actually help the testing authorities locate the athletes who may be cheating. In this sense, it is a case of “if you are going to do it at all, you should do it properly”. If you are going to ask clean athletes make an effort to provide whereabouts, then you need to make sure that this system does not allow cheating athletes to have 4 week holidays where they are certain they won’t ever be tested. Previous versions of the whereabouts worked nearly on a 24/7 basis. It is acknowledged that this is simply not possible and fair on the athletes. The option finally chosen by WADA of a 60 minute testing window for each day, is supported by the IAAF and we feel a good compromise between athletes providing no or very little whereabouts information, and having to provide 24/7 details. It is also an unfortunate situation that the detection windows for certain drugs of choice are very small (a matter of days or hours). It is for this exact reason that the IAAF (and other sports) must be able to test any day of the year. One day, when improved tests are in place with longer detection windows, it would be possible that whereabouts was not needed for every day. As of today, any serious anti-doping programme cannot even begin to suggest that athletes could have many weeks (let along days) away, free in the knowledge they cannot be tested. The IAAF also acknowledges that for many athletes, the process of providing whereabouts is difficult and time consuming. There is no hiding from this reality. Clean athletes who do all they can to promote the fight against doping are concerned that they may be sanctioned for missed tests. The IAAF believes these are legitimate concerns and cannot ignore them. It is not the intention of the IAAF or these new rules to punish athletes for administrative errors, but to test them effectively. This is why extensive measures are put in place to guard against unintentional whereabouts failures. It takes 3 missed tests in 18 months for a whereabouts violation to occur (under the old IAAF Rules this was 60 months, so the requirements in athletics are now easier in 2009 than 2008). It is known, and has been declared publicly by a number of people, that the cheaters take advantage of this system. They try to avoid tests and they know that if they only miss one or two then they will be fine and they wait until the 18 month period is over before missing tests again. The IAAF is not happy that this ability exists – however on the other hand it would not be fair to the clean athletes to reduce this to less than 3 missed tests. This ability to “miss” 3 tests is in place as a safety net to protect the clean athletes and is already a compromise. 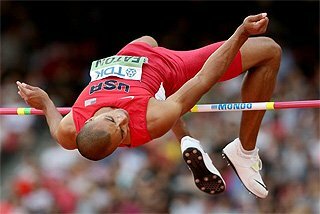 In addition, before any missed test is declared the athlete is asked for their explanation as to how this occurred. In situations where it is clearly not the fault of the athlete then the missed test is waived. 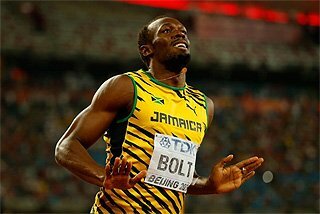 Furthermore, to ensure fairness, athletes also have the right to appeal any decision of the IAAF regarding a missed test. While athletes have to provide their information 3 months in advance – it cannot be realistically expected they will know for certain their whereabouts on each day. For this reason athletes are encouraged to update their whereabouts as often as possible and the IAAF has put in place systems to make this as simple as possible. Athletes can update their information using the online system, by email, by SMS, or by fax/mail. The IAAF strongly suggests that athletes identify their 60-minute time slot at a regular location that will rarely change. For this reason we find that for many athletes it is easiest to provide their home address and a time period that is either early in the morning (eg 07:00-08:00) or later in the evening (eg 20:00-21:00). In this way they will always be there, or if not, can remember to update their details. It should also be acknowledged that athletes in the sport of athletics come from the widest possible range of cultures and countries. While in many western countries – updating changes in whereabouts can be done by simply logging onto the internet – in many other countries where elite IAAF athletes live and train, such luxury does not exist. 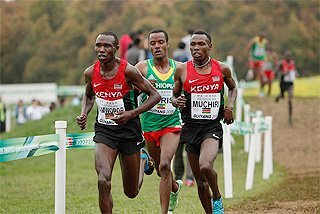 It is interesting to see wealthy athletes in some sports complain about the requirements, while IAAF athletes in the middle of Kenya (as an example) have been finding a way to cope with the challenges for years with the assistance of their managers and support network. The IAAF has seen many athletes suggest (either seriously or jokingly) about the implementation of GPS devices. Unfortunately this solution does not get to the heart of the problem. A GPS device tells you where a person is at this very moment in time – but in general testing needs to be planned at least a day in advance. Intelligent testing also needs to be planned around future competition schedules and training cycles, something a GPS system cannot tell you. 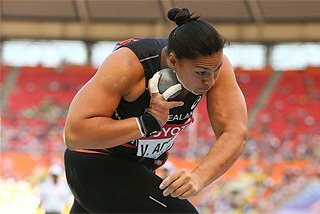 Because there is not a testing official in every city of the world, they need to travel to do testing – and it is unrealistic to spend thousands of dollars travelling to distant locations, only to find the athlete has already moved and is currently on a plane to a different country. Of course the IAAF is always happy to look to new technology to help ease the burden on athletes. The IAAF has received information from World Champions and World record holders supporting the whereabouts system. Support was also provided by the IAAF Athletes Commission during their most recent meeting. 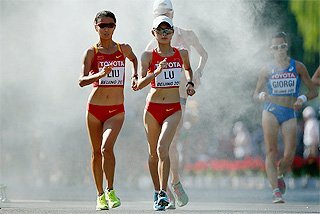 The opinions of these athletes is relatively similar – that the whereabouts requirements are a burden upon them and are sometimes difficult – but they fully support the system and will do anything they can to rid the sport of doping, even if that means providing their whereabouts for one hour each day. A selection of these quotes can be found below. The IAAF supports the notion that the new requirements need time to be implemented and for the sporting community to get used to them. 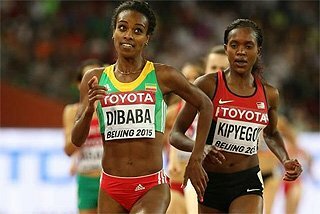 The IAAF of course is happy to listen to the opinions of all athletes, and if after sufficient time some changes are needed, then recommendations would be made to WADA. However one principle remains whatever suggestions may be made in the future. For an effective doping control programme to be put in place by sporting organisations, whereabouts needs to be provided 365 days a week. This is why the IAAF supports the current system in place and believes it is the best available compromise between 24/7 details...and nothing at all. “I understand that it is necessary for IAAF to know where the athletes are at all times because there is no other way in this moment to fight the doping problem. Especially this 60 minute slot is a good idea, because each of us could tell with 99% when are we at home for sure. 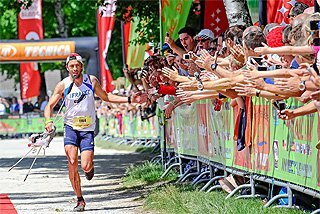 In this way we would be able to avoid inconveniences with anti-doping controls. My father, who is also my coach is doing the update every month. He knows my schedule and if I decide to go somewhere unscheduled, I inform him immediately about the address where I could be found. This is a part of my job and professional behavior. It is a price which I’m willing to ‘pay’ for being a top athlete. As I mentioned earlier, it is a price we need to pay for being at top level in our job. I do understand that it could be uncomfortable for some people and they might feel that their privacy is threatened, but it is not a very good idea to fight it unless no better system could be put in place. If this information would not be provided athletes could think there is something to hide”. I have been doing it (provision of whereabouts information) since I have become a world class athlete in 2001 when I received a medal at the Edmonton world championships. I do it as a daily chore hoping for a clean world of sports. I think it is the results of the efforts put in by the testers to protect the sport. It may be a bit difficult until you get used to it, but once you get used it, I do not think it is difficult. Doping has become a more serious problem for sports in recent years. As an athlete hoping to compete fairly, we need to be cooperative so that any athlete from any nation can be tested equally. I think the active measures taken against anti-doping in the track and field community in recent years will be a good model for other organizations. We athletes are subject to gather all sorts of attention from people all around the world, at the same time we can provide dreams and goals for not only children but for people of all ages. We should not betray the fans of sports by deceiving them. It may eventually end up losing the reliability of all sport athletes. Therefore I would like to cooperate. If you are an athlete, we should all share this feeling and moral, and continue to deepen it. I stay up to date online. For urgent changes text updates then modify online. IAAF website was very easy to use, Adams a bit more complicated but we'll get used to it. What would really help is to access it from blackberry or iPhone for last minute updates. It's part of my travel booking itinery! We are all committed to doing what we can to keep our sport clean. That means sacrifices by clean athletes but we know those running anti doping understand we are human and are there to help with any update problems. For truly international fair testing everywhere we need this. They (other sports) aren't used to such a strict system and their testing is behind that of athletics. They will catch up quickly! Monaco – L’IAAF reconnait la contrainte que représente le système de localisation qui demande aux athlètes de fournir un créneau horaire de 60 minutes, 7 jours sur 7, mais reste persuadée que c’est le seul moyen, à la fois équitable et indispensable, pour mener efficacement la lutte contre le dopage. Les athlètes qui font partie du groupe-cible fournissent à l’IAAF les informations sur leur localisation depuis 1997. 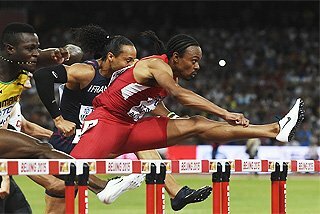 C’est seulement aujourd’hui, en 2009, que de nombreux autres sports, pays et athlètes - qui n’ont jamais mis en place un tel système et qui ont rarement pratiqué des contrôles inopinés - commencent à prendre conscience de la quantité de travail que cela implique et des efforts déployés par l’IAAF et ses athlètes depuis une décennie. 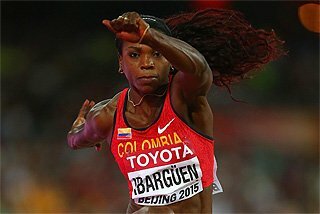 L’IAAF est fière de ses athlètes qui communiquent les informations sur leur localisation et font l’objet de contrôles hors-compétitions depuis plus longtemps que dans n’importe quel autre sport. Les différents acteurs de l’athlétisme mondial, qu’il s’agisse des fédérations, des sponsors, des spectateurs et principalement des athlètes eux mêmes, demandent constamment à l’IAAF de mettre tout en œuvre pour combattre le dopage. L’essentiel de notre réponse réside dans notre programme de contrôles hors-compétition pour lequel nous investissons 2 millions de dollars chaque année. Le principe en est que tout athlète peut être contrôlé en tout lieu et à tout moment. Cette mission s’avère impossible sans informations exhaustives et précises sur leur localisation. L’IAAF reconnait également que pour de nombreux athlètes, ce processus de localisation est difficile et prend du temps. On ne peut nier cette évidence. Les athlètes intègres, qui font tout ce qu’ils peuvent pour promouvoir la lutte contre le dopage, s’inquiètent du fait qu’ils peuvent être sanctionnés pour des contrôles manqués. L’IAAF sait que ces craintes sont légitimes et qu’il faut en tenir compte. Il n’est pas dans son intention, ni dans l’esprit de la nouvelle règlementation, de pénaliser les athlètes pour des erreurs administratives mais simplement de les tester. C’est la raison pour laquelle des mesures importantes ont été instaurées afin de protéger les athlètes contre les manquements non intentionnels à leur obligation de localisation. L’IAAF a également reçu le soutien de champions du monde, détenteurs de records du monde et d’athlètes faisant partie de la Commission des athlètes. Leur opinion est sensiblement identique : il est vrai que les exigences de localisation constituent une astreinte mais les athlètes adhèrent sans réserve au système car ils sont prêts à faire des sacrifices pour se débarrasser du dopage dans le sport, même si cela exige de communiquer son emploi du temps pour une heure chaque jour. “Je comprends qu’il est indispensable à l’IAAF de localiser les athlètes à tout moment car actuellement il n’existe aucun autre moyen de combattre le problème du dopage. Je trouve que ce créneau d’une heure est une bonne idée car chacun d’entre nous peut dire à 99% à quel moment il sera à la maison. De cette manière les risques de manquer un contrôle antidopage seront réduits. Je communique les informations sur mon emploi du temps depuis que j’ai été récompensé d’une médaille aux Championnats du monde d’Edmonton en 2001. Je le conçois comme une tâche quotidienne qui doit être faite si on veut un jour évoluer dans un monde libre de dopage. 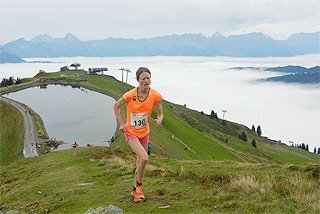 J’y vois le résultat des efforts déployés par les responsables du programme pour protéger le sport. C’est un peu difficile au début mais une fois que vous en avez pris l’habitude, ce n’est pas si difficile. C’est un système auquel je suis habituée. Il est vrai que parfois c’est une corvée et qu’il faut se souvenir de le faire mais c’est le prix à payer si nous voulons aller vers un sport propre. 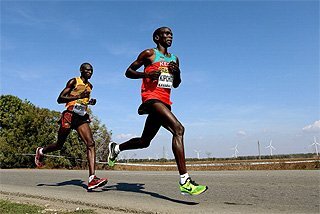 L’IAAF a toujours fait preuve de souplesse en rendant les changements possibles par l’envoi de SMS ou d’emails. Il est un peu plus difficile de s’adapter au système Adams mais nous pouvons travailler ensemble pour le rendre plus simple d’utilisation. Nous avons tous le devoir de faire ce qui est en notre pouvoir pour garder notre sport intègre. Cela implique que les athlètes propres consentent des sacrifices et nous savons que ceux qui gèrent l’antidopage comprennent que nous sommes des êtres humains et sont là pour nous aider en cas de modifications dans notre emploi du temps. Ce système s’avère nécessaire pour assurer un véritable programme de contrôle équitable au niveau mondial.